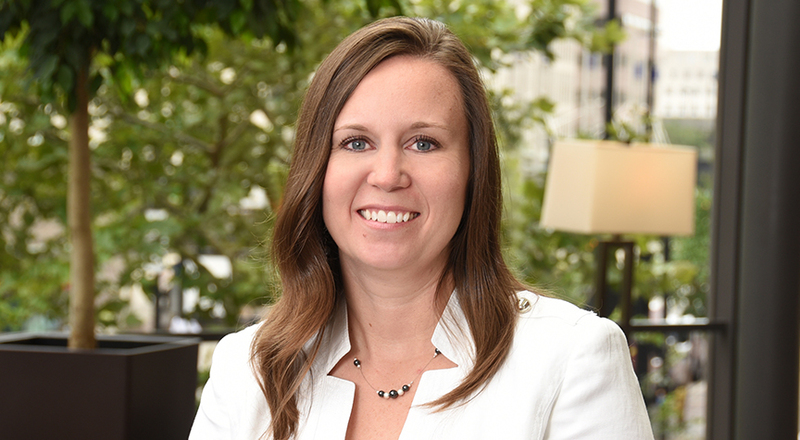 Theresa develops and implements business development and marketing programs to drive client development opportunities and growth for Taft’s Cincinnati office, which includes more than 100 attorneys and professionals and select practice groups, including Litigation and Labor & Employment. She provides corporate communication support to Taft’s attorneys and supports the firm’s strategic marketing and business development goals. Developing and implementing business development and marketing activities for the Cincinnati office, including sponsorships, sports and entertainment venues, local advertising, promotional needs, and other corporate communication initiatives. Managing the Cincinnati office and two practice group budgets. Assisting with annual individual attorney and practice group business development plans. Creating collateral materials and responding to requests for proposals. Supporting brand-building initiatives and corporate identity standards. Building and maintaining media and community relations. Enhancing website and external communication. Prior to joining Taft, Theresa worked at St. Elizabeth Healthcare, where she was responsible for the strategic planning, development and implementation of marketing communication strategies to support the overall goals of the St. Elizabeth healthcare system and numerous service lines. She focused on the development of robust community wellness outreach programs, key service line growth and geographic expansion with cost-effective and impactful marketing strategies. Her efforts led to an increase in market share, customer awareness and patient preference.